Whether your roof is old, outdated, damaged, or just plain ugly, replacing it is an investment that definitely proves as a worthy one. 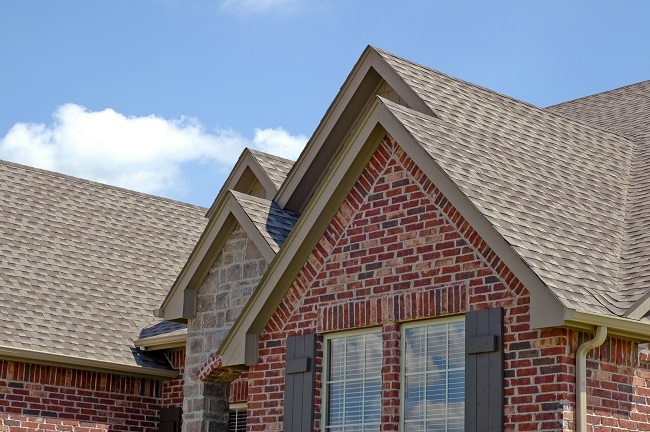 New roofing can do great wonders for your home in more ways than one. It can significantly reduce and even completely prevent any leaks or storm damage from occurring, and it can notably increase the value of your home. Leaky roofs can mean both exterior and interior damage to your home. Sometimes you’ll see water spots on your ceiling, and other times you won’t even notice the leak because it is hidden up in the rafters in your attic. Missing or damaged shingles are usually the main culprits. They can cause slow leaks that will eventually turn into very damaging ones if left ignored. Harsh storms that produce high winds, heavy rain, hail and falling debris can really wreak havoc on a roof, especially an older one. Significant winds can blow off shingles and break the seals between them. Heavy rain and hail can cause dents and damage, and falling debris can lead to cracks and missing shingles. A newer and stronger roof will stand up to the elements a lot better. There are some surefire ways to tell if you need a new roof on your home. For starters, a shingles condition can tell you a lot. If you notice any of them missing, cracked, or curling, heed the warnings. Also be on the lookout for missing granules or bald spots in the shingles. Sometimes roofs just look old and worn, and could even have moss and other types of stains growing on them. And if your roof is just plain old, you should know that it is time for a new one. New roofing can make a world of a difference in the look, the condition, the safety, and the overall value of your home. Contact us today at Roofity to further discuss what new roofing can do for you. 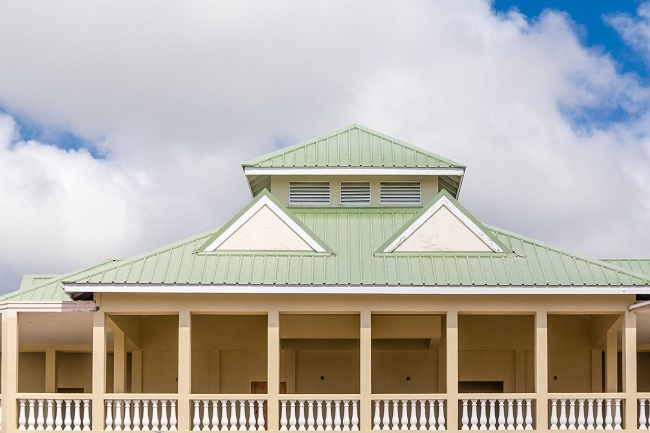 Because you’ll have to live with your metal roof for a few decades, choosing the right color from the start is essential for saving money and being happy with the finished product. The good thing about metal roofing is there are many colors to choose from. At the same time, however, this is overwhelming when you’re unsure of how to choose the right color. This short guide will explain what you need to consider when picking a color for your metal roof. An often forgotten aspect of updating the exterior of a home is the overall design of the neighborhood. You shouldn’t just take your home’s overall design into consideration when choosing a color for your metal roof. Walk through your neighborhood and note the color palettes your neighbors used. It will help you narrow down your options because you want something that complements the neighborhood’s style. Naturally, the color you choose for the metal roof should match the overall style of your home too. You don’t want to find out a week later what you thought was a snazzy color actually turned your house into an eyesore on the block. If you struggle to determine which colors go well together, ask your roofing contractor for advice. Elements of your house that you must consider when choosing a metal roof color include the trim, siding, and landscape. One mistake some homeowners make is checking colors all in one lighting. They forget that the roof will look different under varying light conditions. Therefore, you should look at the possible roof colors at different times of the day to make sure the color still goes well with the rest of your house and neighborhood. Also be aware that light colors make the roof appear taller, whereas dark colors make the roof appear shorter. If energy efficiency is important to you, then you should know which colors are energy-efficient for your roof. In warm climates, lighter colors protect the home from the heat, which means you don’t need to run the air conditioner as much. Darker colors are ideal for cold climates because they retain heat, helping the home stay warm. Choosing the right colors for metal roofing saves you the time and money of having to redo your roof because you didn’t like how it turned out. Your neighbors will also be happy when you pick a color that doesn’t clash with your own home or neighborhood. Additionally, it will increase your home value rather than hurt it. Most people don’t want to buy a house that has a poor color scheme or an outrageous color. Contact us for assistance with choosing the perfect color for your metal roof and having it installed.